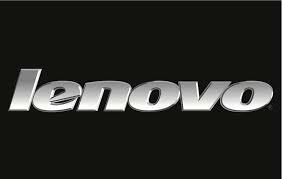 Lenovo is the number one PC maker in the world and rapidly gaining popularity in the smartphone space, where it’s second in China, yet it’s been forced to delay its planned entry into the US mobile space by up to 3 years. Reports from CES last week had Lenovo execs lowering expectations in front of the media rather than the usual ambitious predictions and bravado that characterise the world’s biggest consumer electronics show. As I reported on The Reg, CEO Yang Yuanqing predicted last May that the firm would launch a phone Stateside within a year. However, at CES Lenovo’s Americas president Gerry Smith told journalists it could be another 2-3 years, and that the firm was waiting for the “right time”, the “right product” and looking to boost marketing/branding spend first. It’s certainly a given the firm will eventually take on Apple in its own back yard, but with PC sales tanking globally, why such a long lead time? I spoke to some local analysts to find out. IDC’s Melissa Chau argued that it comes down to brand recognition and industry partnerships. “The biggest challenge any smartphone player has in breaking into the US has to do with partnerships. Even Nokia found it a problem building the right relationships with carriers and I wouldn’t be surprised if Lenovo is finding the same,” she told me. Lenovo needs also to find a unique selling point – something to differentiate it from the likes of Huawei, ZTE and others which have already shown they can produce decent handsets for US punters at low cost. Canalys analyst Jessica Kwee was more optimistic, arguing that Lenovo already has good brand recognition thanks to its Thinkpad laptop line. “Lenovo is one of the most well-known Chinese brand with a good brand image even in the US, which may help it do better than some of its Chinese peers when it does launch its smartphones there, although there are plenty of other reasons that will help determine its success, such as the products, channels, marketing and timing,” she told me. In the end there’s nothing wrong with a company like Lenovo taking its time before launching into an important market. But I have a feeling that it will make a move sooner rather than later. Giving your rivals – especially Chinese ones like Huawei – a 2-3 year head start is never wise, let alone in a fast-moving and highly competitive space like the US smartphone market.